Large module textured field tiles are suitable for use on walls and floors, indoors and out, around fireplaces, bar tops, splash backs, pools and fountains, the options are endless. They can be used on their own or in conjunction with the mosaics to great effect. A range of liners and trim pieces are available to accent and finish your tiling. They are available in 50x50mm, 50x102mm, 102x102mm, 102x203mm and 203x203mm. Dimensional field tiles create outstanding effects and are available in 4 designs - Blink, Syncopation, Keystone abd Lune. Each design can be laid in a number of patterns. 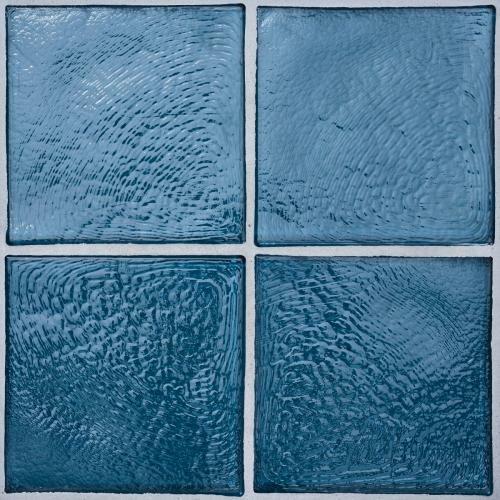 Have a look at our gallery for more great ideas using Oceanside Glasstile mosaics and field tiles. Click here for product information and to view the full colour pallette. Visit the Oceanside Glasstile website and view the full range of colours, patterns and styles available then call us with your request.